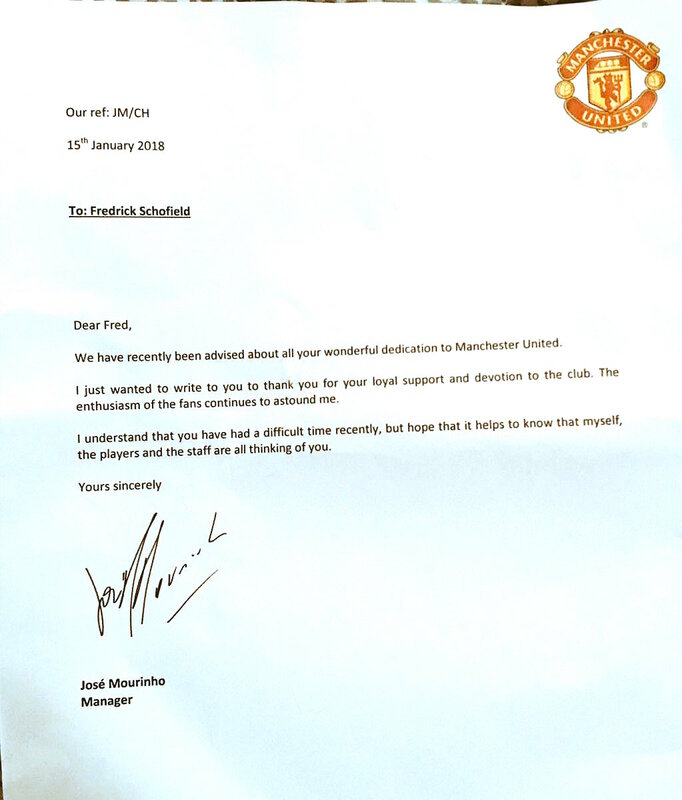 Manchester United manager José Mourinho has written a touching letter to a 94 year old Manchester United fan after learning he had been going through a difficult time. 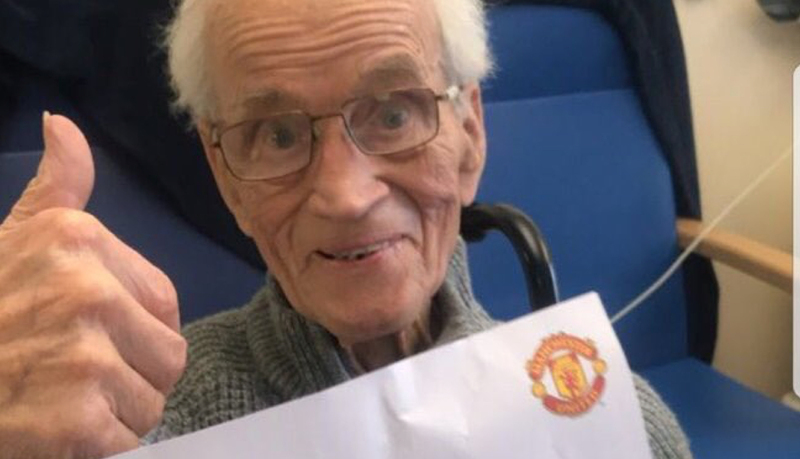 Mourinho penned the letter to 94 year old Frederick Schofield when he heard the long-time Red Devils fan had been going through bit of a rough patch recently. Schofield had suffered a stroke, according to his daughter @sweetutopia, and the United manager sent the best wishes of himself and the entire club in a class letter to Mr.Schofield.